ap.o.gee: The farthest or highest point; the apex; a final climactic stage. 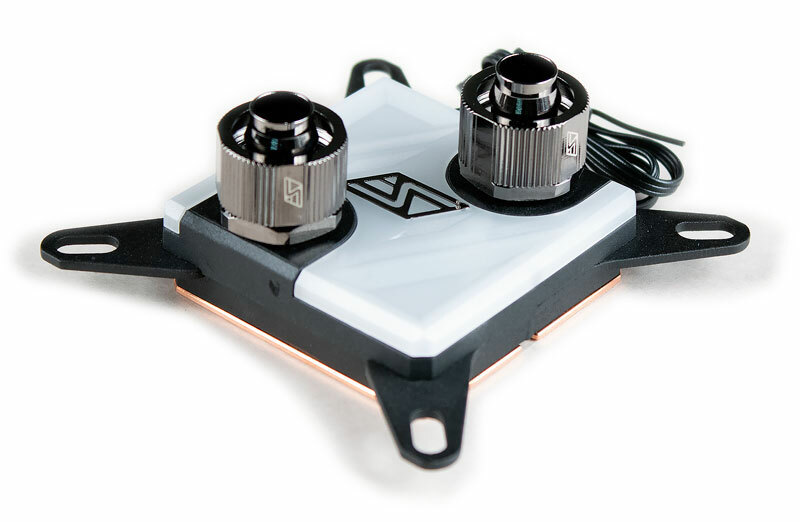 The Swiftech Apogee™ SKF LT is a universal CPU waterblock featuring Swiftech's revolutionary Skived Fins "SKF" cooling engine and built-in Addressable RGB LED lighting, fully compatible with Swiftech's IRIS. The SKF cooling engine is made of 125 micron (< 5 thousandth's of an inch!) thick slotted fins! 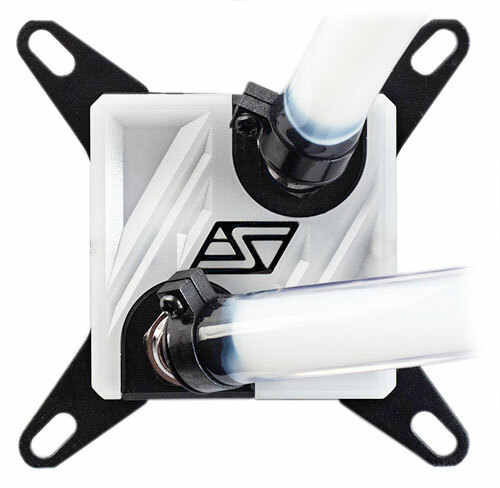 This new technology is at the very least one generation ahead of the competition and is the foundation of Swiftech’s current CPU waterblocks. With only minor effect on pressure drop, this technology yields up to a few degrees in CPU temperature which is substantial for more gamers, overclockers and enthusiasts alike. The Apogee SKF LT is fully compatible with Swiftech’s Addressable IRIS Technology. 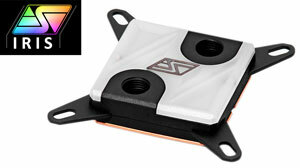 To control the lighting effects of any Swiftech IRIS product, the Swiftech IRIS ECO controller can be purchased separately; in addition to the IRIS ECO, users that own a compatible motherboard (Asus Aura, Gigabyte RGB Fusion or MSI's Mystic Light for example) can use the Swiftech IRIS MB Link to connect up to three (depending on the capabilities of the motherboard) Swiftech IRIS component and control them directly through the motherboard software. The Apogee SKF LT features six WS2812 LED modules which is covered by a top housing made highly diffusive material to enhance light diffusion. 2019 will be the 10th anniversary of Swiftech's all-in-one retention system. Initially released with the Apogee GTZ in 2009, this retention hardware really changed how CPU waterblock were installed onto the CPU. Over the past 10 years, this retention hardware received several upgrades designed to ease the installation process. 400 mm (16") Male/Female Extension for Swiftech IRIS products. Multi-function ALED light controller and FAN controller with PWM signal splitter.